Today it was a clear fine day. 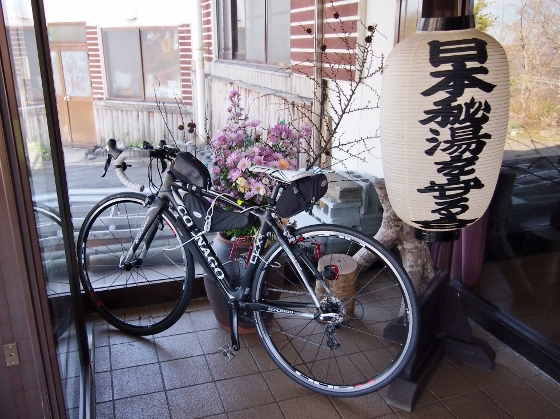 I pedaled from Koriyama City to Tsuchiyu Pass (altitude = 1200m) of Fukushima City. On the way I stopped at Roadside Station Tsuchiyu. 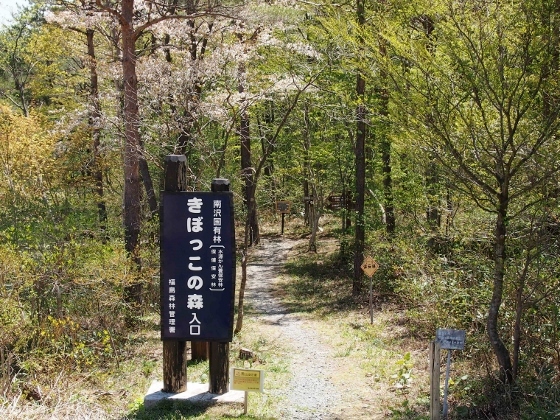 Beside the Roadside Station Tsuchiyu there was a promenade called "Wood of Kibbokko" inside the nature wood. The location was red asterisk 1 in the map. 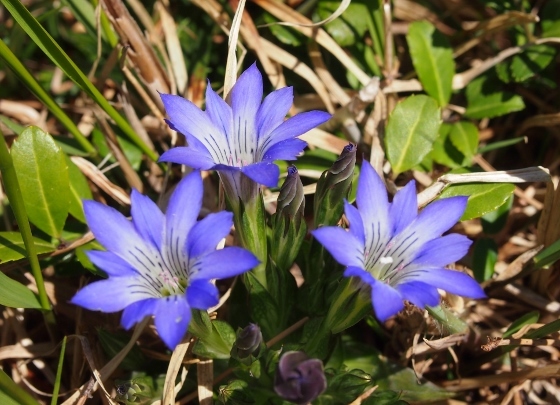 I found many gentians which bloom in spring. 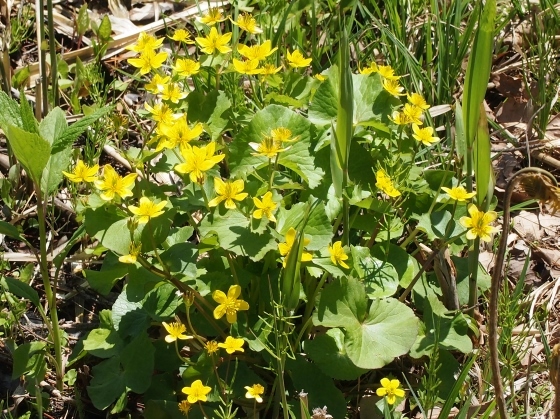 I also found marsh marigold. From a height inside the wood I could see the beautiful view of Mt. 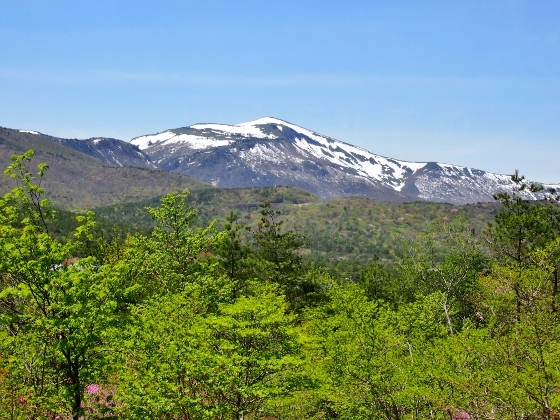 Minowa which was the highest mountain (1728m high) among Adatara Mountain Range. 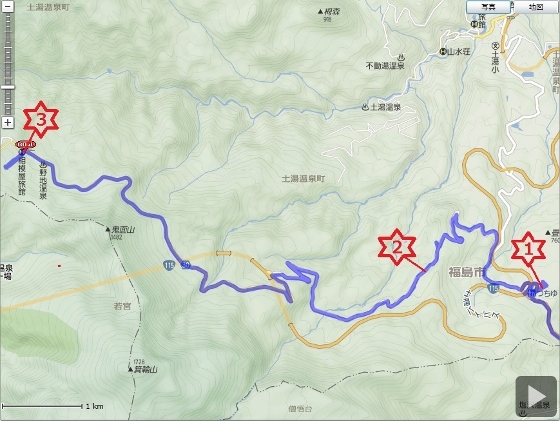 I pedaled along the old National Route 459 which was called Middle Line from Roadside Station Tsuchiyu to Tsuchiyu Pass. The road was shown as asterisk 2 in the map. This road had abundant of wild nature and I could see many kinds of spring flowers along the roadside. 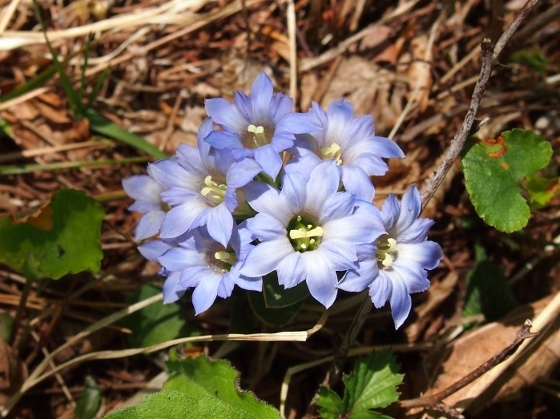 First I found another kind of gentian which also blooms in spring. 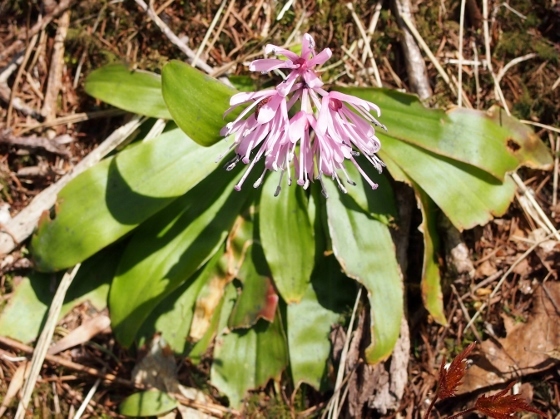 I could still find Oriental swamp pink in the last stage of bloom. 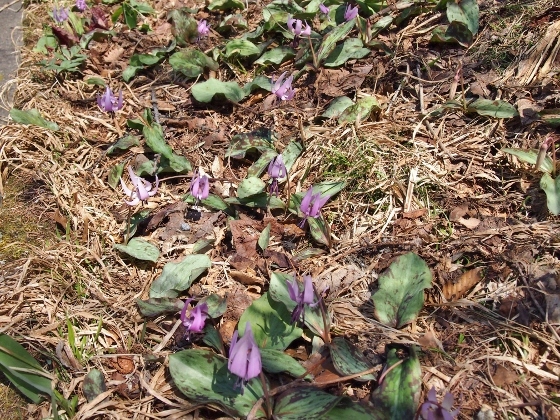 I could still find some groups of dogtooth violets which were also in the last stage of bloom. I stayed at Sagamiya Inn of Shinnoji Onsen tonight. The inn was a member of Japan Association of Segregated Hot Spring Inns. They kindly took my bike inside the entrance hall. The location was red asterisk 3 in the map. 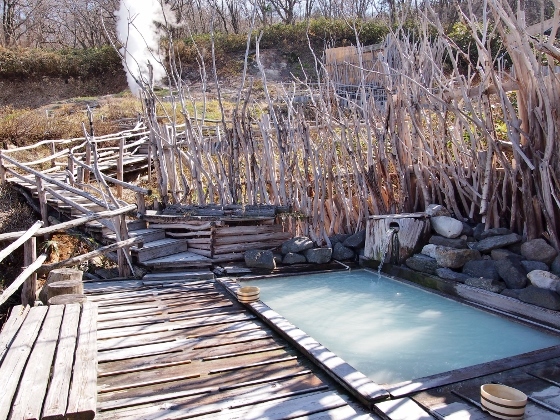 The inn provided very fresh out of the ground sulfur hot spring as shown in the picture above. The open air bath shown above was splendid especially in clear weather.